The Dockland is an office building at the banks of the Elbe behind the Hamburger fish market. The building from 2005 was designed by the Hamburg architect Hadi Teherani. The 500m² large roof terrace can be climbed by foot and is open for public visitors. 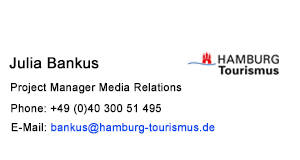 It offers an impressive view of the river, the port facilities and the southern part of the river Elbe. There are many ways to experience the river Elbe: by cycling, on a launch or on a sail boat. It’s the place where the industrial harbor and the everyday city life meet. 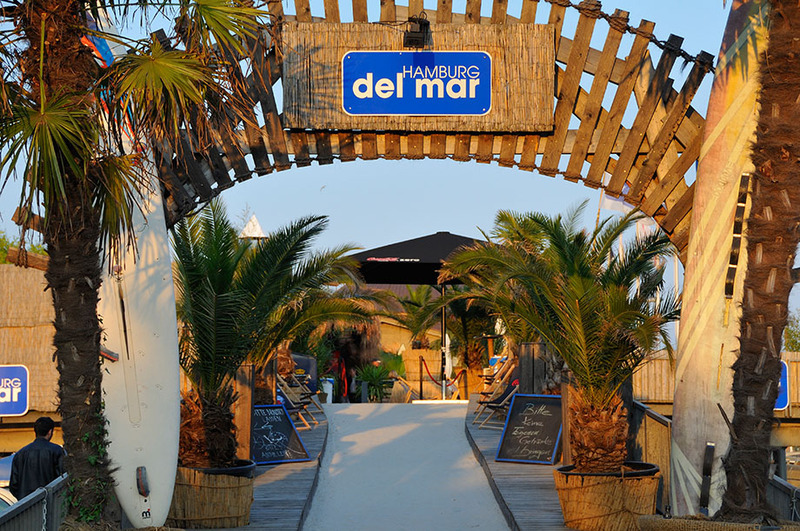 On one side work is the main focus while on the other side locals walk across the Elbe beach or enjoy the great view at a café or restaurant. The driving force of the economic development of Hamburg and the Metropolitan Region is the port of Hamburg which is the largest universal port in Germay. With an annual turnover of about nine million TEU (twenty-foot equivalent unit) Hamburg is one of the three largest container ports in Europe. HafenCity Hamburg, the largest urban development project in Europe, is being built on 157 hectares in the former harbor district. Located directly on the Elbe and directly at the port, this new city district is being created to provide a unique mix of culture and leisure, urban living and working, shopping and dining. Accordion players, souvenir shops, small kiosks and snack bars are part of the Landungsbrücken. Here you will get the best fish sandwich at bridge 10. From there, a staircase leads to the courtyard of the youth hostel Am Stintfang. It offers an impressive view of the port with a panoramic sunset. The Outer Alster is mainly used for sailing, rowing as well as Stand-Up-Paddling and taking a pedal boat trip. There are many opportunities to enjoy the green oasis: jogging, laying on the lawn or on a deckchair or just going for a walk – the big lake in the middle of the city is not only a “place to be” in summer but year round. The Speicherstadt is the world’s biggest historical warehouse complex. It extends over 26 hectares in the heart of Hamburg’s port and comprises 17 building complexes in the style of Gothic red-brick. High-value goods such as coffee, tea, cocoa, spices, tobacco, and, in recent decades, oriental carpets, have been stored behind the thick walls of these warehouses. 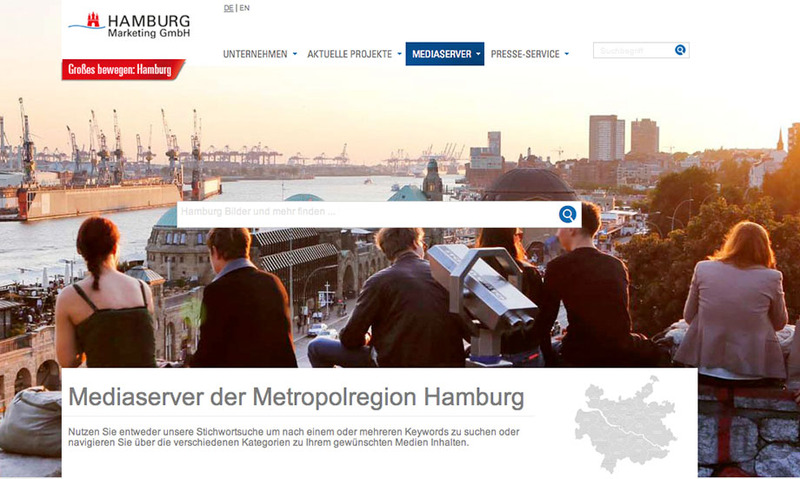 Two rivers shape the face of Hamburg. 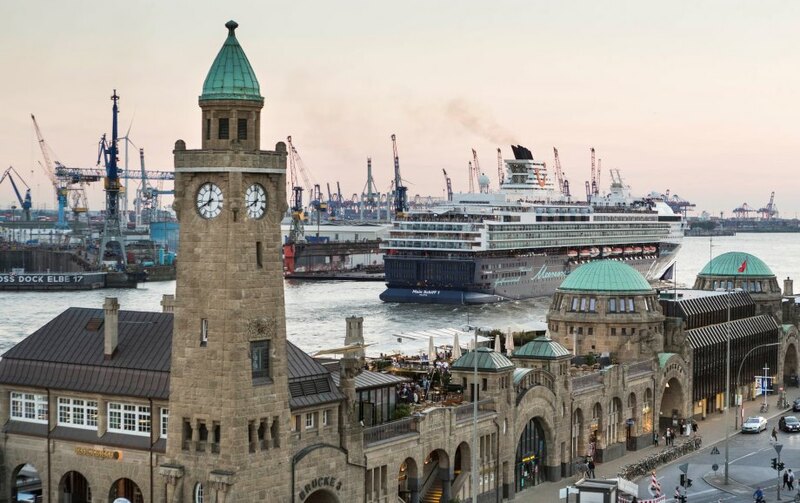 One wakens a yearning for the sea, the other for home: with its port that never sleeps, the Elbe is the city’s main artery leading out into the North Sea; and the Alster, which forms the lake in the city centre, represents the heart of Hamburg. These two waterways are in slight competition with each other, and thus “Alster or Elbe?” is almost a question of faith among residents of Hamburg, and literally everyone has their own answer. Alster or Elbe, this is, first of all, a question of social milieu: the rough Elbe with its tireless port, and the busy operations of heavy cranes, barges and ferries, have always been the domain of the working classes. Gigantic container ships from China or returning cruise liners from Scandinavia can be seen making their way down the River Elbe. At night, the port is illuminated by its countless cranes, and their hollow humming provides the city’s soundtrack. While the port denies the Elbe a moment’s peace, the Alster creates Hamburg’s idyllic centre. Quiet and beautiful, the Alster provides you with a far-reaching view in the heart of the city centre – a view of Hamburg’s magnificent Kontorhaus buildings and luxury hotels on the banks of the Inner Alster Lake, and a view of tree-lined parks and promenades on the banks of the larger Outer Alster Lakes. The exclusive residential areas close to the Outer Alster are home to many of Hamburg’s affluent citizens. On a sunny afternoon, you can see them in the club houses of the time-honoured rowing clubs, and on their sailing boats on the water. While these stereotypes are familiar and may be true in essence, the truth is of course more complex than that: as an urban recreational area and Hamburg’s most popular jogging route, the Alster belongs to everyone. During the summer, the restaurants and cafés along the banks of the Alster, such as the Alsterperle, are a popular place to meet, have a drink, and enjoy the view – for all age groups and for all social milieus. And Hamburg’s most expensive residential areas in the suburb of Blankenese with a view over the Elbe are anything but working class. At the end of the day, a stretch of water can be claimed by nobody – and isn’t life perfect that way?